There’s a certain thrill when you first drive off the island of Phuket, crossing Sarasin Bridge and heading north to Phang Nga. Almost immediately, it seems that the number of billboards thins, people drive a little slower, and the scenery becomes, well, more scenic. 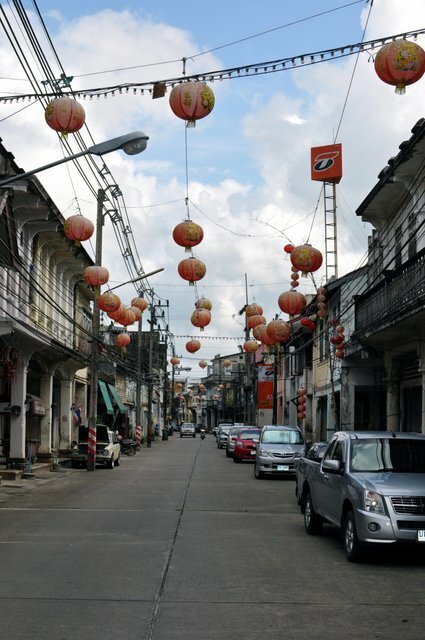 Despite being a province in its own right, the mainland to the north is often seen as our back garden, part of the non-existent Greater Phuket so often touted in tourist brochures and on travel websites. Not far from the bridge crossing, you reach a fork in the highway – right towards Krabi and Surat Thani, and straight on to Khao Lak and Takua Pa.
To reach the latter, you first pass through the small village of Taimuang, before entering Khao Lak town, a heavily tourist-focused drag with the usual suspects of tailors, fast food outlets, trinket shops, cheap bars and western restaurants. Mercifully, it doesn’t take long to pass through before you’re once again on a pleasant tree-lined road headed north. 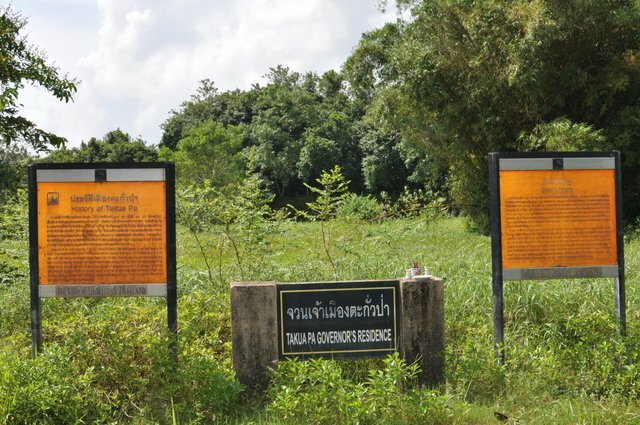 Before too long, you’ll pass Le Méridien Khao Lak Beach & Spa Resort on your left (a large yet understated resort, it is especially popular with northern European guests) and then the road gently curves east, before you arrive at Takua Pa new town. At the first set of traffic lights turn right, and head away from the busy strip of shops and businesses. If you set off from home in the morning, it should be midday by now, meaning its time for lunch. 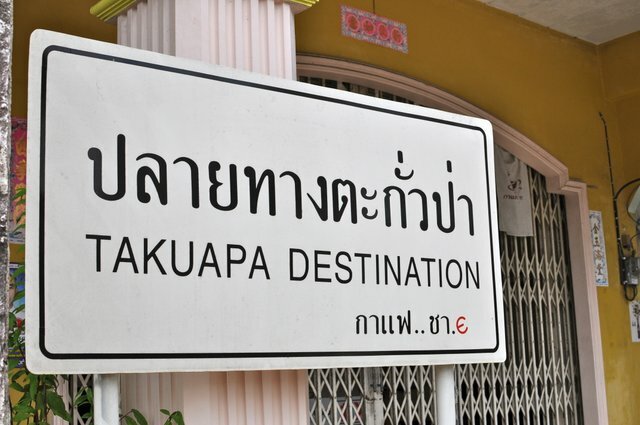 A few minutes up the road on your left-hand side look out for a sign, in English, that reads Pata restaurant. 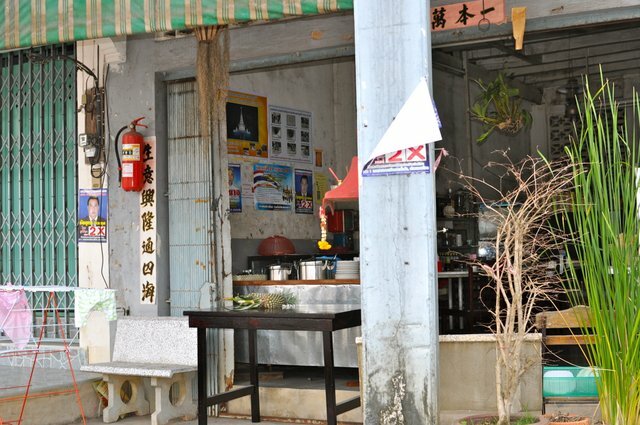 A small wooden open-air building with benches and picnic-style tables, this not a fancy place. But you don’t come here for the design, but for the view. 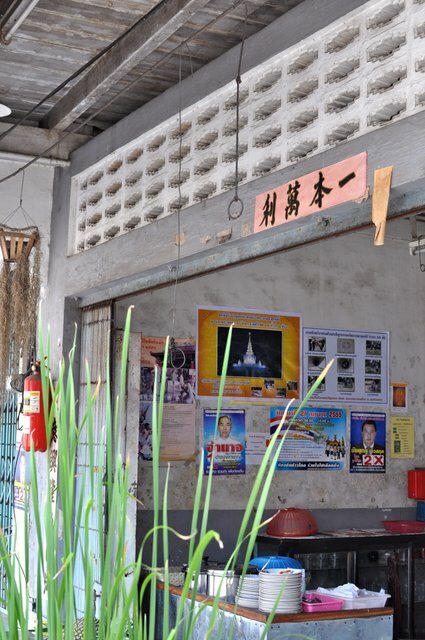 The family run eatery overlooks lush green fields filled with grazing water buffalo and white cranes, surrounded by distant, mist-shrouded mountains. Picturesque doesn’t do it justice. As for the food, the menu is full of simple, home-cooked Thai favourites such as tom yum goong and chicken satay, all served by a smiling mother and daughter team. 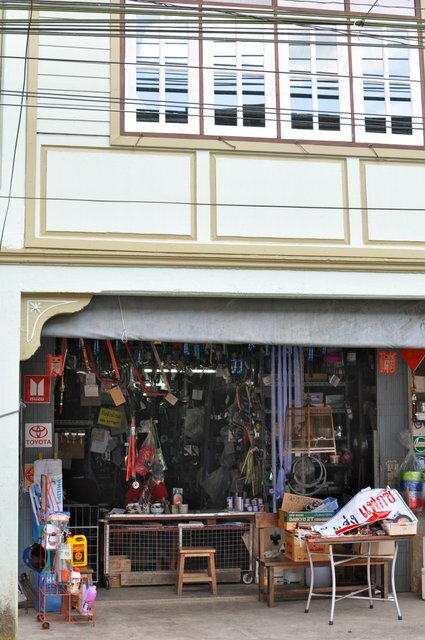 Once you’ve had your fill here, head back to the main road, turn left and follow the road until you reach a quaint little town filled with Chinese-style shophouses – the original Takua Pa. This historic settlement was once one of the largest trading posts along the Andaman coast, a stopping point for Arabic, Chinese and Indian sailors, who came here to trade spices, and, later, deal in tin. However, it had slowly lost importance over the centuries, cut off from passing traffic and business when a new highway bypassed the town altogether. Because of this, it’s seemingly remained in a time warp, a stasis only shaken up by the occasional inquisitive tourist. 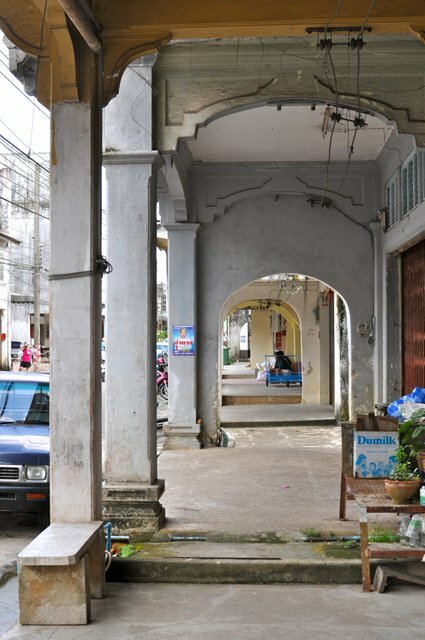 Architecturally, the settlement shares roots with the historic Phuket Old Town (both were founded by Hokkien Chinese immigrants), but unlike the latter which – with its roti restaurants, batik sellers, and herbal stores – at least bears some resemblance to its important past, Takua Pa is a ghost town for most of the year. 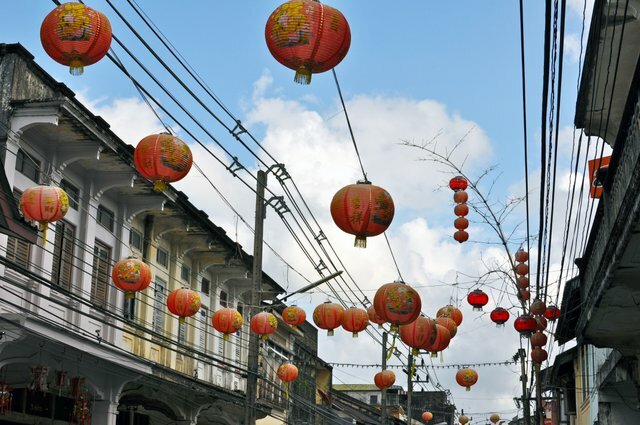 There is a weekly Sunday market held on the main street, which draws in people from the surrounding area, but the one week that the place really comes alive is for the Vegetarian Festival in September. 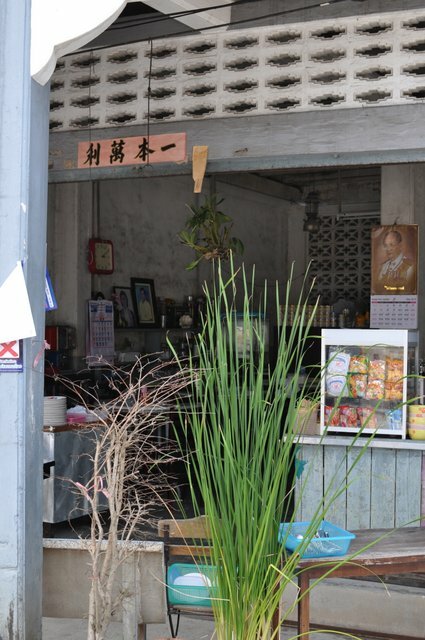 According to the owner of local shop CC Coffee & Bakery (089 591 4697), Gook-Gik, this festival – now famous worldwide for its Phuket incarnation – was celebrated here first. 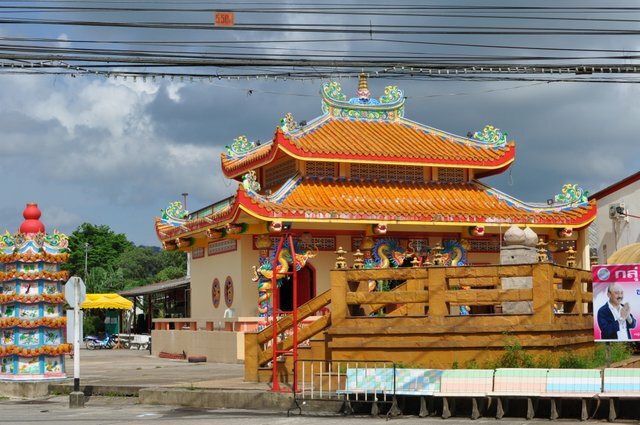 The town’s main Chinese shrine is certainly impressive, and by all accounts there is just as bloody a spectacle here, but one more in keeping with tradition. 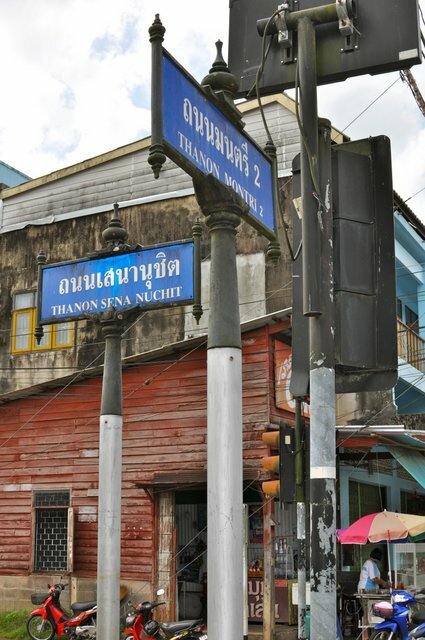 If you are looking to stay a while longer, accommodation is available at the nearby Baan San-Fan Orphange (baansanfan.org), where the B750 you pay per day goes towards its upkeep, and providing for the 15 or so children that live there. They also produce a range of organic products, including coconut oil soap, honey, recycled sack bags, and kitchen aprons, which make for excellent gifts, as well as a way to support their charitable efforts. 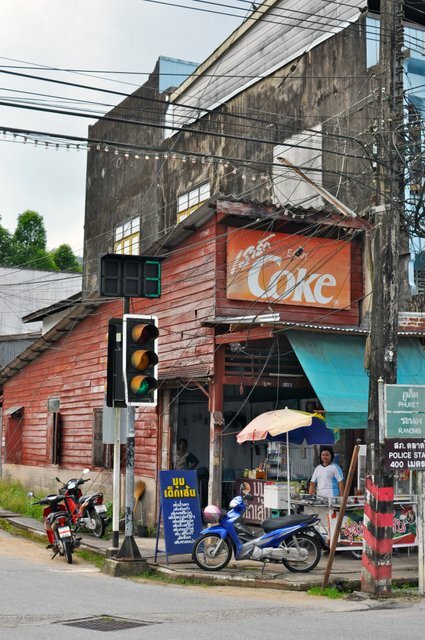 Speaking of which, on your way back to Phuket, approximately halfway between Khao Lak town and Sarasin Bridge, make a stop at the Home and Life Coffee & Bakery shop on your right (homelifethailand.com). Part of the adjoining orphanage established to look after youth whose lives were destroyed by the 2004 tsunami, this noble venture is staffed by the children themselves, offering them training and an income to prepare the orphans for a brighter future. They’re off to a good start, as the coffees and cakes are excellent. 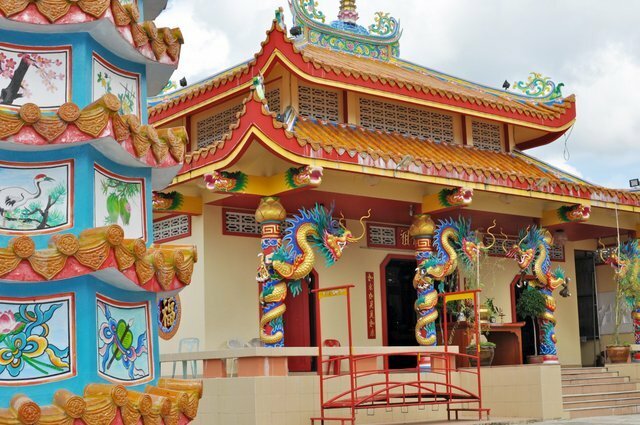 It’s an ideal way to end your visit to Phang Nga – much more than just ‘Greater Phuket’. Le Méridien Khao Lak Beach & Spa Resort (lemeridienkhaolak.com) is currently offering an exclusive deal for Thai nationals and expatriate residents for just B2,999 nett. This package includes 1 night in a deluxe room with a garden terrace and easy access to the pool; free upgrade to a premium room with free internet access and 2 drinks per day; a daybed for a child up to 12 years old; daily buffet breakfast for two adults; 25 per cent off dining in the resort’s restaurants; free participation in kids’ club; bike tour to Sairung rainforest and rubber plantation; and beach yoga. Families with children from 12 years old and below may purchase a SPG kids’ pass at just B300 per day, which is inclusive of breakfast, lunch, dinner and free flow soft drinks. You must enrol in the SPG membership programme to qualify for the above kids dining offer. Offer valid for book and stay from now until October 31, 2012. Offer is exclusive to Thai nationals and expatriate residents, proof of residency required upon check in. For bookings, please call 076 427500 or email reservations.khaolak@lemeridien.com and quote rate code ‘LOCALTH2’.